High Definition Sound – would Jethro Tull approve? Having just invested in new hifi, including a turntable, I’m once again enjoying listening to vinyl. When CDs first came in, there was a lot of marketing (propaganda) about the virtues of CDs, they didnt get scratched like vinyl, they were almost indestructible, the sound quality was better, and so on. In truth, most of this was a lie. The first CDs were more robust, as manufacturers cut costs, the quality dropped, and CDs are now more easily scratched than vinyl. As far as sound quality is concerned, when you convert the almost infinite amount of details in analogue sound into digital, you are changing it into a finite number of 0s and 1s. There is a point at which the human ear can’t tell the difference. The point at which the detail of digital is too great for the human ear to distinguish is debatable. A study carried out in 1993 found only 4 out of 160 people in a “blind” controlled experiment could tell the difference between vinyl and CD. Perhaps one reason why people think vinyl is superior is that there are more cheap and nasty CD systems than cheap and nasty vinyl systems. Regardless of whether the argument for vinyl holds water, today’s massive capacity for data storage and fibre optic broadband makes even CDs look like “Living in the Past.” The latest trend taking over is the use of high definition audio. This is digital audio superior to CD quality that should finally settle the argument about the superiority of digital or vinyl. If the level of detail in CD is barely enough, HD audio definitely has the detail. Here is an excellent article that explains it well. https://www.whathifi.com/advice/high-resolution-audio-everything-you-need-to-know. I’m still enjoying my vinyl, if for no other reason than they are beautiful objects to behold, often with amazing sleeves and artwork. This entry was posted in Personal on August 3, 2017 by admin. Regardless of whether the argument for vinyl holds water, today’s massive capacity for data storage and fibre optic broadband makes even CDs look like “Living in the Past.” The latest trend taking over is the use of high definition audio. thyroid health. This is digital audio superior to CD quality that should finally settle the argument about the superiority of digital or vinyl. If the level of detail in CD is barely enough, HD audio definitely has the detail. This entry was posted in Blog on August 3, 2017 by admin. WIndows Vista – what to do when it is “retired” in April. Windows Vista was released in 2007 and its time is up in April this year. This means that computers being operated after this date increasingly run the risk of being exploited by malicious websites or emails or by other means, eg music, games, movie downloads. So, what are the options for people with Windows Vista? This is the route you would need to take if you are running special software that needs a version of Windows to run under. For example, Photoshop, Sage Accounts, A CAD program and most games, although website-based games should run fine under any modern operating system. If you are only using the computer for surfing the Internet, Facebook, YouTube, Skype etc, you might be interested in an alternative called Linux, which comes in many different flavours (or distributions.) The one I recommend to most Windows users is Linux Mint. All versions of Linux are more resistant to malware than Windows. Linux is also free, and you don’t have to worry about licence keys or getting installation media which are freely available online etc. The downside is that it won’t run all Windows software and may not have drivers for hardware such as printers, or cameras, but in most cases it does. This entry was posted in Blog on February 8, 2017 by admin. How to stop Windows 10 installing itself! If you are getting fed up of the constant and intrusive spam messages on your computer trying to bully you into “upgrading” to Windows 10, the good news is, it can be stopped. Microsoft seem to be desperate to get people onto Windows 10, and this is so different to Windows 7 that a whole new learning curve has to be made. This is quite stressful to many people, especially the elderly. The strange thing is, Microsoft have committed to updating Windows 7 until April 2020, so why the hurry? Many people have reported that it is now installing itself without being agreed by the user. In my opinion, this is a clear example of “Big Brother” type tactics. Sure, Apple and Android do upgrades, but the difference in the user interface is minimal and usually passes unnoticed by users. How do I stop this Windows 10 upgrade? Make sure you click the “prevent Windows 10 upgrades” and the “enable monitor mode” buttons. This entry was posted in Blog on June 1, 2016 by admin. Don’t upgrade to Windows 10 for the wrong reasons! I have been swamped in the last few weeks with computers that have gone wrong during the upgrade to Windows 10. PC “cannot find an operating system” – the computer was slow, so the user thought an upgrade would speed it up. Wrong! The hard drive was failing, and the upgrade caused critical boot files to be corrupted, which meant there were no visible files left on the hard drive. Luckily, the drive was intact enough that I was able to successfully use data recovery tools to recover their photos and other documents. However, the cost in labour time is considerable, the data recovery and reinstall takes a couple of days and the user will have a lot of inconvenience in order to reinstall all their programs, SatNav, Printer, iTunes, Office etc. If the person had come to me to diagnose the slowness, I could have cloned the hard drive within a few hours, and everything would have been “as it was” but quicker. Black screen or frozen icons. This seems to happen a lot with Lenovo machines. The trouble is the Chinese Lenovo company put a load of “bloatware” on the computer that conflicts with something during the upgrade process. This can also be caused by “security software” – often known as anti-virus (although viruses are almost extinct, it’s usually trojans, or other malware that are the problem today.) Again, people often upgrade because something has gone wrong. Often, their paid anti-virus has expired, and instead of being sensible, and actually pay for a new one, or remove it and put a free one on, they leave it until they unsurprisingly get infected. So, then, they think, “ah Windows 10 will sort out all my problems.” Wrong again… the malware and Windows 10 will fight, and you’ll end up with a corrupted system. Don’t consider an upgrade to Windows 10 as a solution to a problem. Fix the problem first. If you can’t do it yourself, call a professional. I can be reached on 01646 602248 or 07934 453989. This entry was posted in Blog on November 6, 2015 by admin. A Microsoft account is now the default favoured (…by Microsoft, that is!) way of logging on to your computer. The problem with this is that people forget their passwords. It then tells you to go to https://account.live.com/resetpassword.aspx to reset your password… but you can’t log on to your computer.. see the problem? They offer no escape from this, other than use someone else’s computer. Come on, Microsoft, get your act together, your war with pirates is detroying your relationship with your millions of customers. All they need to do, is to allow users to log on with a temporary profile, so they can reset their password on their own machine. 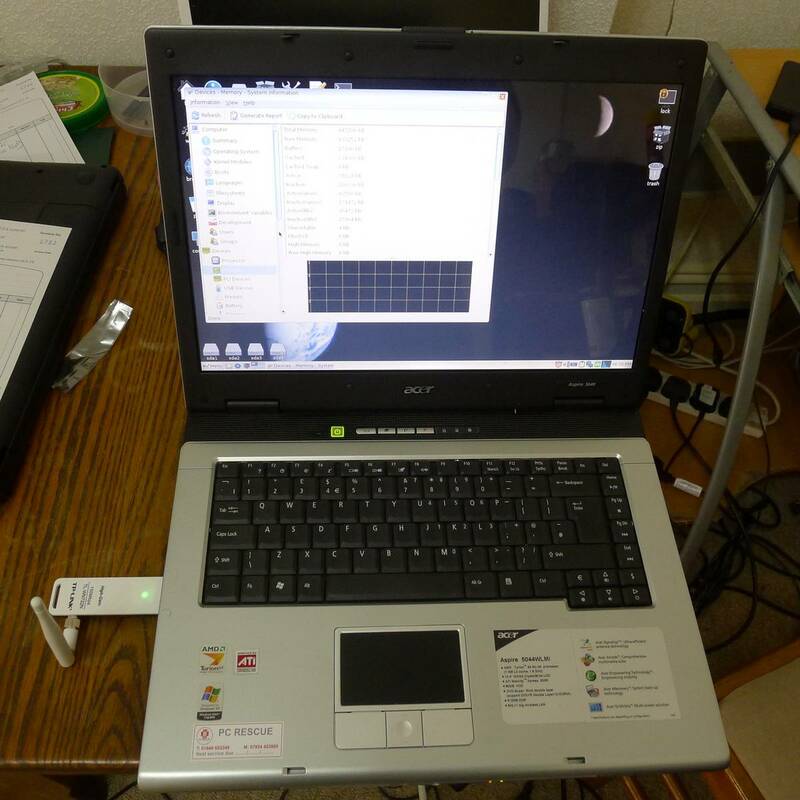 It is embarrassing for users to go to a friend’s house to reset the password. This entry was posted in Blog on October 17, 2015 by admin. Fed up with viruses? Try Linux! All Windows operating systems have been plagued by viruses and other malware (=malicious software.) Apple Macs have often been paraded as being free from malware, but increasingly, they are being targetted by malware writers. 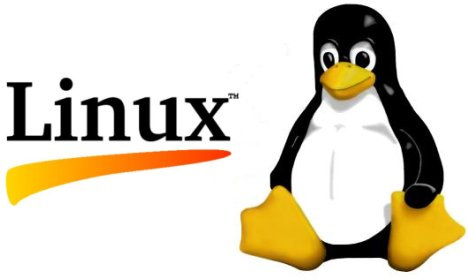 Linux is a free alternative to Windows and Mac and was first released in 1991. It has long been the system of choice for supercomputers and internet servers. It is at it’s core, a secure operating system, as it uses a minimal kernel (the heart of the beast) which due to simplicity, offers a smaller “attack area” for the bad guys. If you use your computer just for website browsing, Internet Banking, Facebook, or word processing, Linux could be a good alternative for you. However, if you want to play most online games, or use special software like Photoshop, SatNav software or Microsoft Outlook, it could be problematic. In this case, a dual-boot option might work well. In other words, you could either Windows or Linux on start-up. You can download a Linux .iso file and burn it to DVD and install it yourself, or contact me on 01646 602248 and I’d be happy to help. Treating all users like copyright thieves, so making it easier to use cracked copies of Windows than genuine copies. Preventing reinstallation of Windows from generic DVDs /USB sticks. If your hard drive fails, and you didn’t make a recovery drive, you’re screwed. Assuming everyone wants to use touch screen devices and abandoning the core historic user base of mouse and keyboard users. Removing useful information such as error messages and assuming all users are confused by such information. Generally treating the user base as either stupid or criminal. Trying to copy Apple and Google instead of being innovative and creative, and then not even getting that right. This entry was posted in Blog and tagged Windows on September 6, 2015 by admin. Especially recommended for people using Vista, as most systems will be compatible with Windows 10. 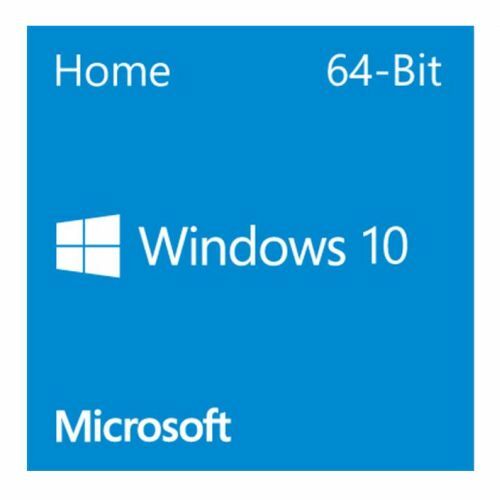 If you are running Windows 7 or Windows 8.1, you are eligible for a free upgrade. If you are still using XP, it is likely that the hardware will be too old and slow to run Windows 10. Components will be old and likely to start failing, so in this case, I would recommend buying a new computer. Data from the old one can be copied to the new. This entry was posted in Personal on August 6, 2015 by admin. This laptop is running Puppy Linux. It’s almost completely immune to viruses* and other malware. It’s running on an Acer aspire 5040. It’s ideal for Facebook, email and web browsing. Not suitable for Windows software. Recommended to people who are confident computer users. Comes with charger. Supplied with a high gain 802.11n 150Mbps USB adapter, so picks up even weak wireless signals. *although Linux viruses exist, they are very rare and the damage they can do is much more limited than with Windows systems. Call 01646 602248 if you want it. First come first served. Adam has helped me many times with my home computer and he has always been most helpful and efficient.